This vibrant vest is the replica of Daniel Wu which he wore in the tv series Into Badlands. 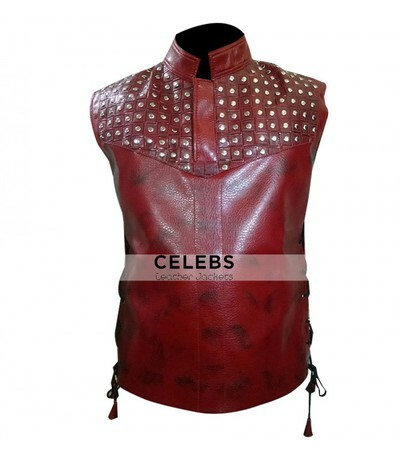 This unique vest in maroon color is made of real leather while internal lining is made of viscose. This smart sleeveless vest had standup round collar. The amazing feature of this jacket hasside open with laces closure which makes this jacket jazzier. The front of jacket has beautiful embellishment so that you can carry this attire as a fancy outfit.